Miracle Igbekwe has won this week’s Head of House challenge thereby becoming week 8’s Head of House. This week Big Brother decided that there will be no Head of House qualifier challenge, the housemates have had to instead participate in just one challenge with the winner becoming the new Head of House. After moving to the arena for this week’s Head of House Challenge, the housemates all looked puzzled that Big Brother made them wear stockings on their heads. These stockings had tennis balls inserted into them at one end. There were 9 lines drawn on the arena floor with each line having plastic bottles placed on it from one end of the arena to the other end of the arena, and the housemates were required to knock down all the bottles using the tennis ball in the stockings. 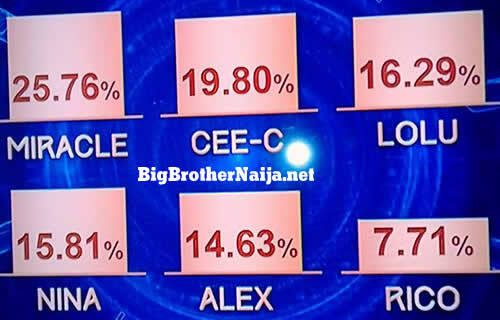 Big Brother informed the housemates that the first to knock down all bottles using the tennis ball in the stockings will be the winner and thus the new Head of House, Biggie then sounded the buzzer and the challenge immediately kicked off. 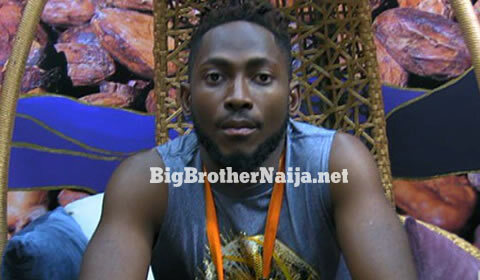 Miracle was the first housemate to knock down all the bottles lined up on his line and thus winning the challenge, this is actually the second time Miracle has won the Head of House title. And after his victory, Big Brother asked him to choose one housemate with whom he would want to share the luxury bedroom with and as expected he quickly chose Nina. The new Head of House will get to pick a chance card that determines immunity or veto power or nothing. The new Head of House will only find out after the live nomination show that is going to take place later on today if he has immunity or not. Receive The Latest Big Brother Naija/Nigeria 2018 News In Your Inbox By Subscribing To Our Email Updates.